Welcome to the VisArts Teen Art Institute at VisArts. 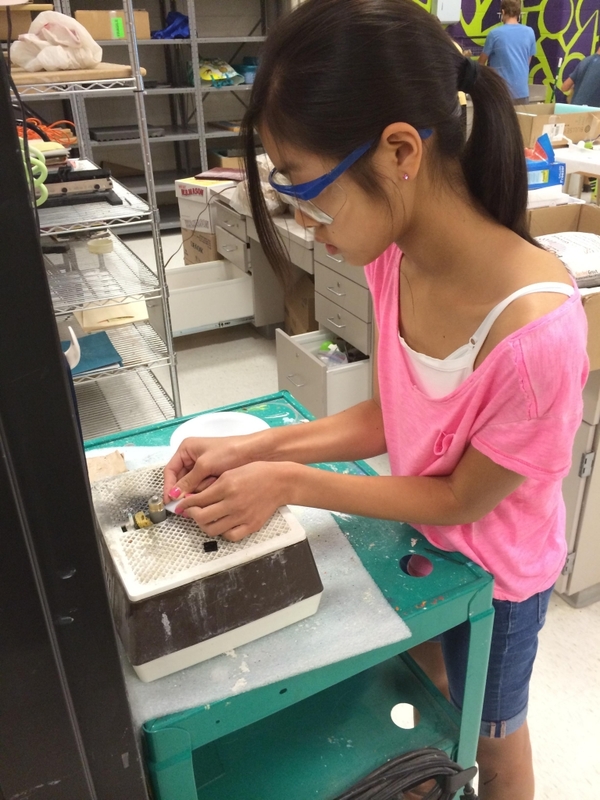 This Fused Glass class gives teens aged 13- 18, the opportunity to explore in depth with Fused Glass in one week. Camp will be held at VisArts. All teachers and staff have extensive experience in their media and are either MCPS teachers or professional working artists. Four plates – Four ways: Each day learn a new way to create distinctive glass pieces. Students will use the following techniques: woven glass, fractured (or so it appears! ), endless stacked squares and amazing trapped bubbles. Sculpture Art:Students will create unique a sculpture using glass and modes. ** Fused Glass requires the glass to be fired in the kiln. Students will work till the last day of camp and some project may require to be picked-up the follow week.